Thank you for purchasing Letting Go: Get in the Flow to Stress Less, Fear Less & Struggle Less. 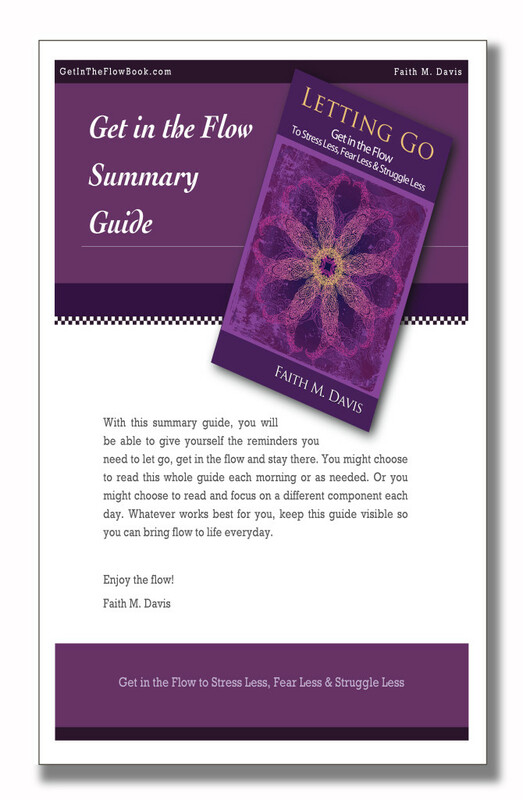 As I mentioned in the book, I have prepared a free gift for you – this summary guide is a convenient way to remind yourself to stay in the flow each day. Simply click on the image to the right (or right click on it to save it to a specific folder on your computer). thankyou Faith, from what I’ve read so far your book looks great. hopefully it will reach out to many!